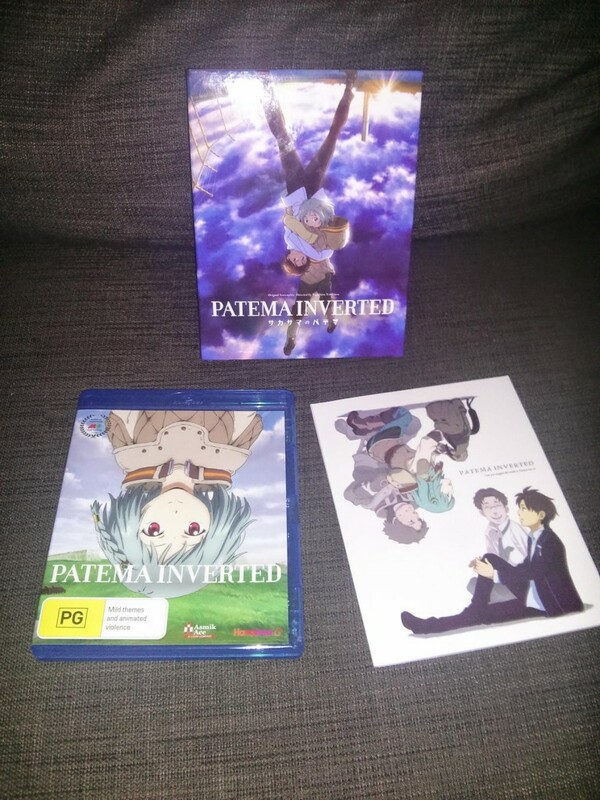 After some entertaining retailer-related drama related to my order, I’ve finally got my hands on Hanabee’s blu-ray release of the film Patema Inverted. 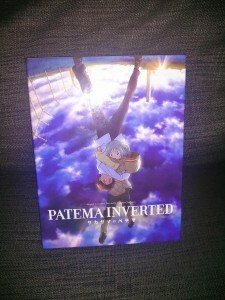 This film is directed by Yasuhiro Yoshiura, the same director as Time of Eve, which I’ve written about here before, and will someday finish writing a proper review of. The UK release of this film had a fairly elaborate kickstarter, that offered mega rad special edition stuff. Unfortunately, backing was only open to UK peoples (or people with a friend who could ship stuff on to them), so luckily for me the film was licensed for Australian release as well, by Hanabee. For my american readers (or should I use the singular ‘reader’ here), I think the US release is through GKids, the company famous for releasing the Ghibli films that Disney isn’t interested in. I watched the film tonight (in Japanese with subs because I am cool and dark and edgy like that). I enjoyed it, it’s got cool sci-fi / fantasy type ideas in it, and it has a sweet subtext of acceptance between different people. The plot is basically about the meeting of two people for whom gravity works in the opposite direction. 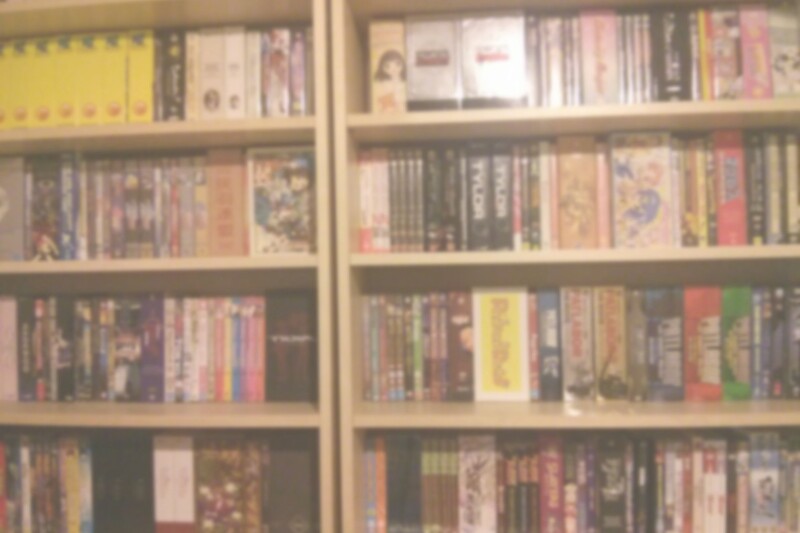 If that intrigues you, congratulations you are a normal person who is intrigued by intriguing premises for fiction. 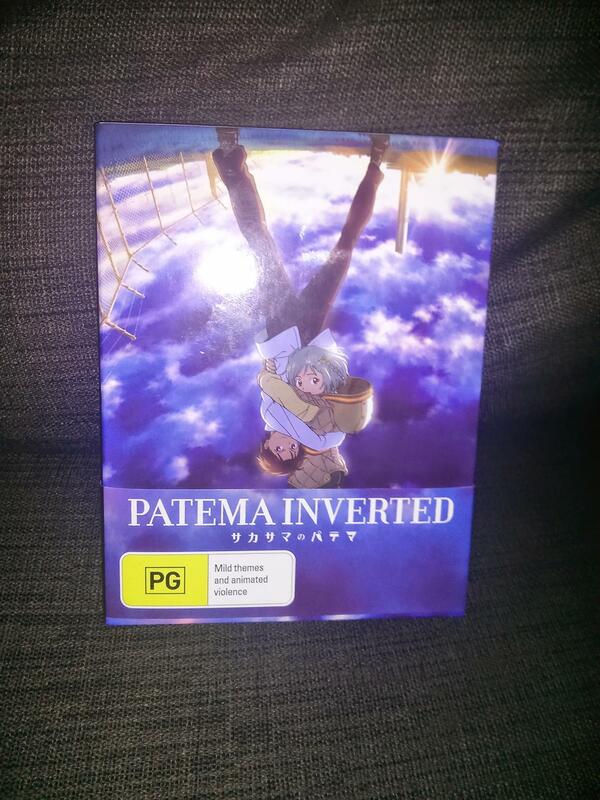 Anyway, let’s look what you get with the Australian release. 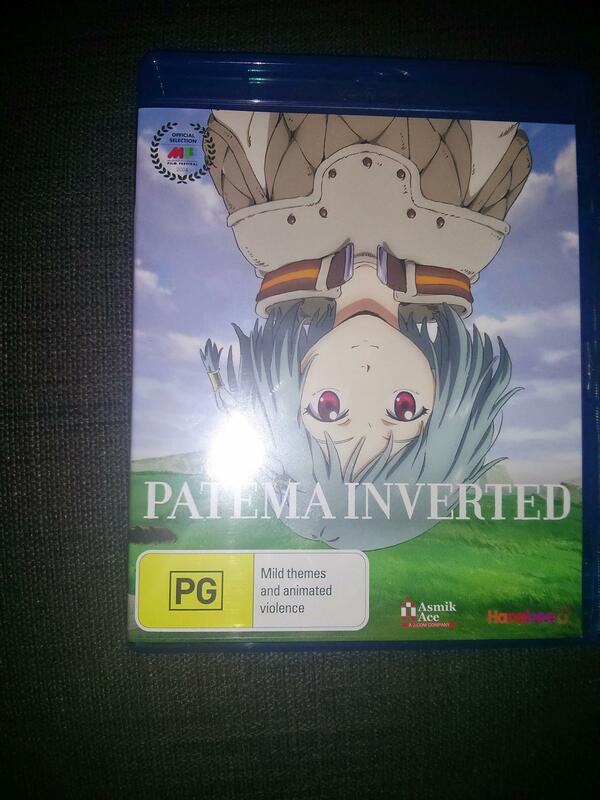 Like many home video releases, it has a front and a back. 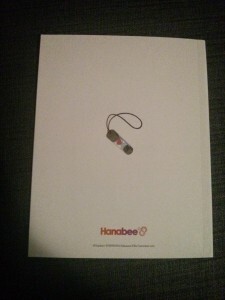 Like less home video releases, Hanabee has been kind enough to use a bellyband (or an obi strip if you’d rather call it that) so that the cover art can avoid the stain of the garish Australian ratings logo that parents don’t seem to even look at or understand anyway. When freed from the bellyband, it looks like this. 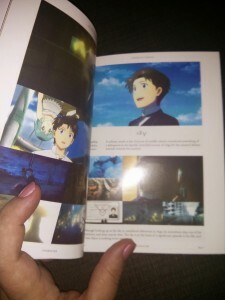 Sharp-eyed readers may notice that the back cover is the same picture as the front cover only upside down. Considering the concept of the film, I think this is cool. Depending on who you are, you may think this is lazy, for example if you’re the kind of person who demands shallow pretty art quantity from your packaging rather than well-executed concepts, like if you’re one of the people who got furious on internet forums about the hilarious crayon art for the Lucky Star DVDs. I have got sidetracked and just fumed at a strawman who holds different opinions on packaging to me. Side effect of writing this at 11pm. Open it up and it’s got this stuff inside. 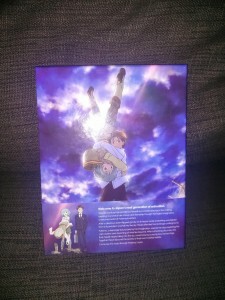 Blu-ray case and booklet. 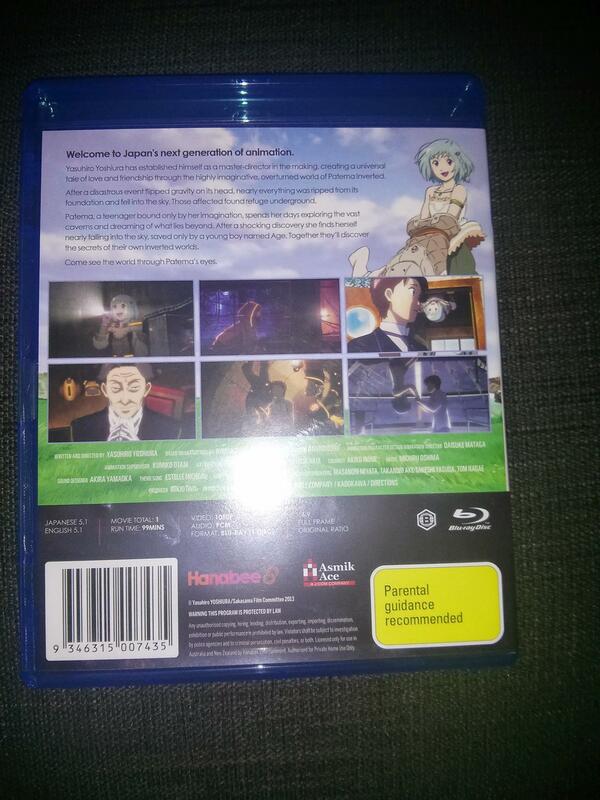 Yay booklet, boo regular boring blu-ray case. The blu-ray case is a standard blu-ray case, and unfortunately did not escape the scourge of the giant garish ratings logo. Art is cool, but the slipcase cover is cooler. 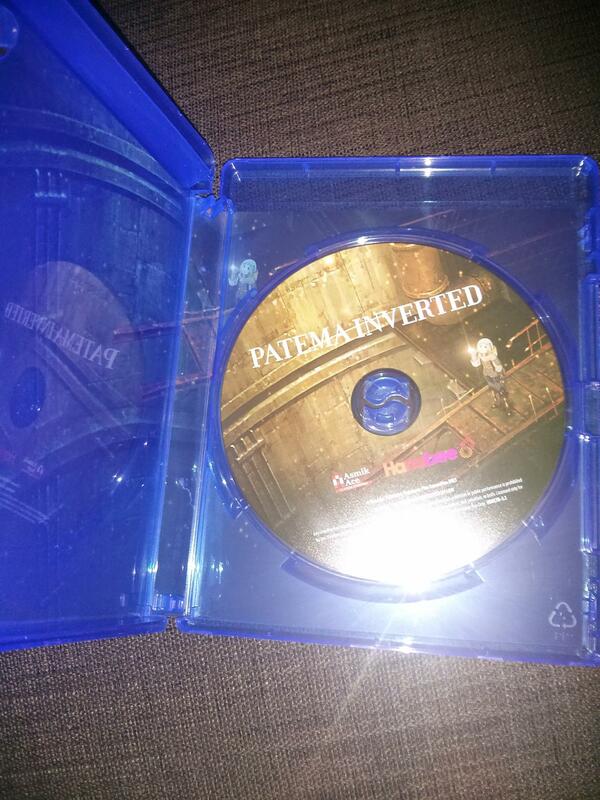 And there’s the disc itself. I feel compelled to discuss its contents now. 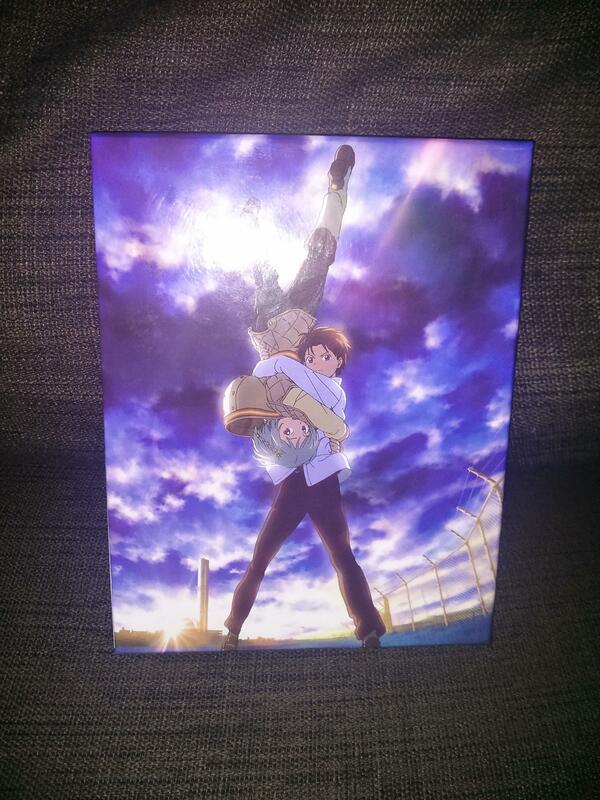 The film is present (as you’d expect) with both an English dubbed version and a Japanese version with subs. I can only assume that the dub and sub are identical to what every other English country gets. In terms of extras, things are a bit sparse, with the only extra being a rather amusing video from director Yasuhiro Yoshiura’s visit to Melbourne for the Melbourne International Film Festival (yes this was shown there) where the Hanabee staff took him to Melbourne Zoo and tried to practice their Japanese on him. Honestly this is a pretty funny extra, but the US and UK releases have more standard making-of and audio commentary type extras, and it would have been nice if Hanabee could get those as well. Pointless technical note: the audio for both English and Japanese is 5.1 PCM, which is kinda uncommon since most stuff tends to use like Dolby TrueHD or DTS-HD Master Audio. Ahh, the mysteries of blu-ray audio encoding format choices (actually as blu-ray audio mysteries go this is fairly un-mysterious, if this were an “american movie” blog I’d have endless rants about stupid choices made by the australian divisions of large hollywood studios who should know better in this area, but I’m digressing a lot because 11pm). Then there’s the booklet, which is pretty rad. 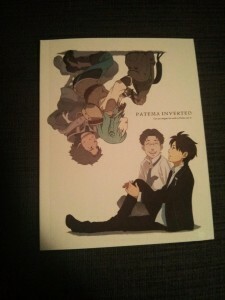 Look, there’s artwork on the cover! 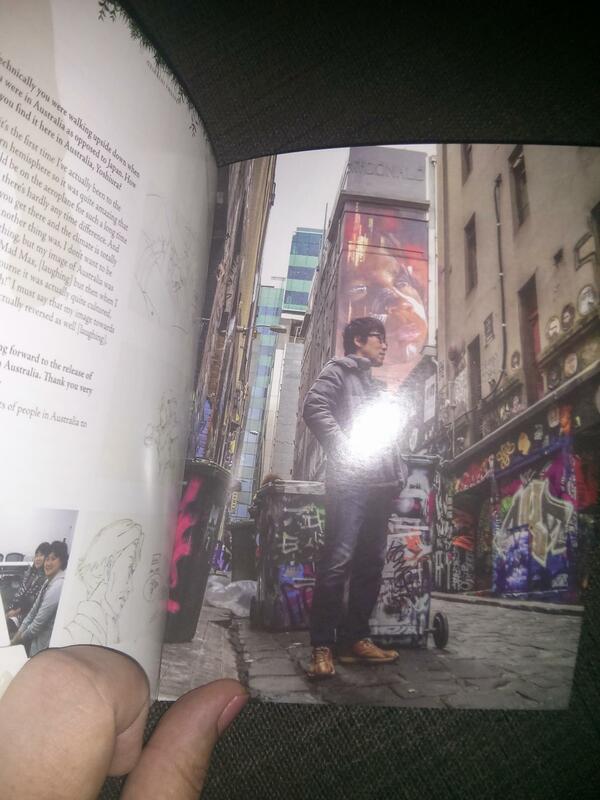 Inside we have more artwork, and character bios and whatnot. 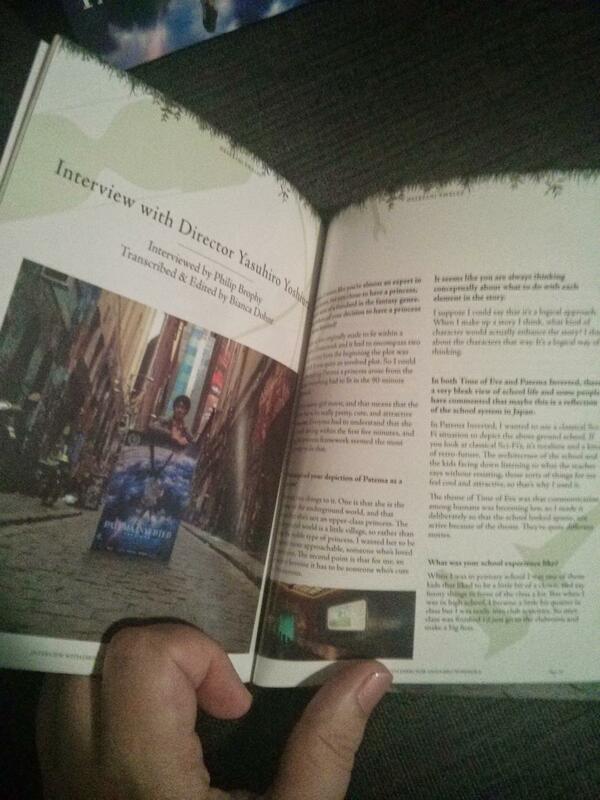 Also we have an interview! Hanabee did a proper interview with Yasuhiro Yoshiura when he was here as well as goofing off at the zoo, and that’s what we’ve got here. Bonus points to anyone who can recognise this iconic Melbourne laneway. Shame points to anyone who lives in Melbourne and can’t. So that’s the release. 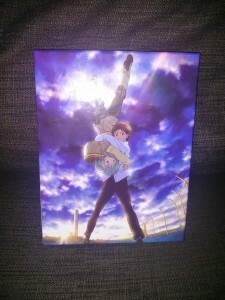 It’s pretty nice, the packaging is spiffy, and the film is great. Kinda wish they’d got some more extras though, but oh well I guess there were probably ~reasons~ as there often are with that sort of thing. And I like the Melbourne touch in the extras that there are. 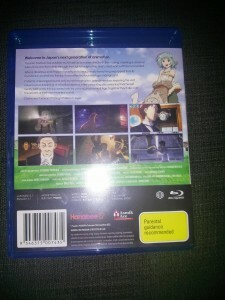 So I guess you’d have to import if you want all the extras, but then I guess so do the Americans and the Brits. Normally, I’d ask Website-tan to weigh in here but another 11pm side effect is that she’s gone to bed and I really don’t want to wake her.